Business advisor with experience in marketing, growth, project management and corporate communications. After endless challenges and periods of high uncertainty, one day, everything became clear. I knew I was better than what I have been told and that others opinions do not reflect my capabilities and aspirations. Always aiming to improve myself, I started to get involved in various projects aiming to experiment and learn through reflection. My goal was to find out what I want to do and what I could succeed in. What I realised is that there is no particular position to be claimed as "for me". I am deeply passionate about entrepreneurship and innovation, especially around corporate social responsibility, and I use the knowledge and experience aquired over years to connect dots and people in coming up with "out of the box" solutions for challenging situations. 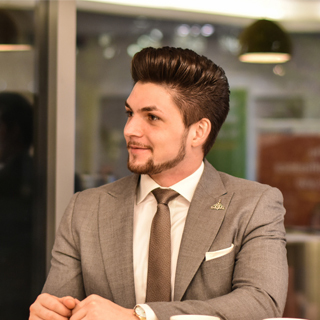 I am eager to take on new challenges and stretch my imagination as I continue to develop a deeper understanding of the business environment. The most relevant keywords describing my areas of interest and expertise are: entrepreneurship, marketing, branding, graphic design, business consultancy, growth, business development and strategy, corporate communications, project management, events management, coaching, KPI analysis, CRM, product development and education. Feel free to send me an email and connect on social media. We learn something new from every person we meet. Being surrounded by hard working and inspiring people during my time at Westminster Business School, I sought to learn as much as possible from them and apply the knowledge in personal endeavours. The skills mentioned are and have been practiced in both, academic and real work environment. The analysis is based on the recommendations received on the Work experience page and on the results of the Potential.ly personality test. For a comprehensive report, please send me an email. Love what you do and do what you love with passion. Pleased to announce that I will continue to be involved in the Sir Simon Milton Westminster UTC for another year as their Marketing and Engagement Coordinator. Part of my new role, I am managing the 2017/18 student recruitment strategy and coordinating the employer partner efforts to maximise the outreach and brand awareness / image of the UTC. Linking my entrepreneurial side to the UTC, I will also teach one of the enrichment activities for students called "Young Enterprise". I joined the major project of Sir Simon Milton Westminster University Technical College in an incipient phase, being directly involved in the early development of a large size organisation. 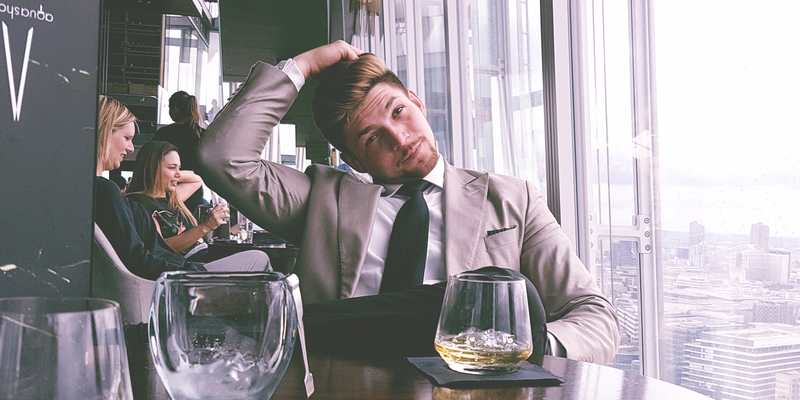 As part of my role, I successfully managed 10+ Open Evening events and liaised with 9+ industry partners (Landsec, Network Rail, Transport for London, Colas Rail, Sir Robert McAlpine, Alstom, Sir Simon Milton Foundation, Westminster City Council, University of Westminster) to implement the 2016/17 student recruitment campaign. Created and generated content for the four corporate social media channels of the UTC. Invested £6,000+ in print and social media campaigns and external major events such as Skills London and The National Career Guidance Show, improving the efficacy of the recruitment campaign. Set up the CRM database on Hubspot through sets of logical rules, automating the online application process. 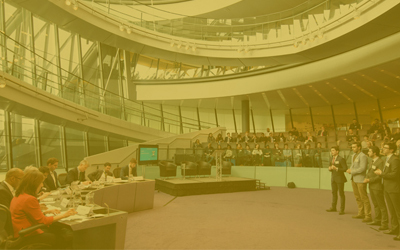 Working in partnership with the Mayor's Office for the development of the Mayor's Entrepreneur 2017 business competition. Representing the main point of contact between the Mayor's Office and University of Westminster & Queen Mary University. Creating and implementing a communication strategy maximising the outreach of the competition. Holding speeches and talks as a 2016 finalist. Facilitating the communication of future organisational changes between The Learning Futures Programme and the affected parties such as academics and students in a timely and effective manner. Planning and delivering promotions of competitions and events as well as offering project related guidance to participating students. Representing the Business Faculty in board meetings and closed committees with the senior management and contributing to the decision making process. Independently carry out work tasks and successfully chaired meetings, drafted agendas, collected information from colleagues as well as recording meeting minutes. Taking decisions concerning long and short term investments based on the company’s market position and competitive advantage. Contributed to the creation of a 5-year financial plan aiming to enforce the competitiveness of the firm through profit maximisation. Increased the net profit of the firm by £4 million, at the end of the period, through operational and strategic improvements and cost management. 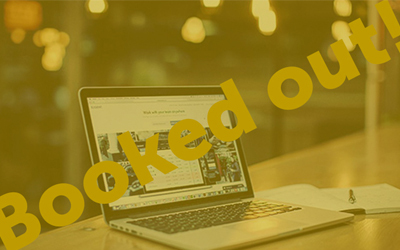 Reached the London semi-final stage in 2017 after turning around a company that was having a profit of £600,000, loans of £12,000,000, shortage of cash and sold less than half of the previews lot, under our management reached a point when: The profit for the last trading period was £6,000,000+, total loan dropped to £2,000,000, the production capacity increased by 50% and the company is selling on average 85%+ of every lot. Facilitated the communication between managers and staff in order to reach and exceed daily sale targets. Managing a team of 5 to 10 people ensuring that customer service standards are being met as well as offering training to new employees. Handling orders and transfers between stores and filling out the necessary paperwork. Successfully applied marketing techniques to increase the customers’ database and generate repetitive purchases. Won customers confidence by offering tailored customer service over telephone and face to face as well as a follow up programme. Increased sales by keeping a team of 10 motivated and goal oriented and was rewarded with a promotion to a Senior Consultant position. My name is Dr. Ioannis P. Christodoulou and I am a Senior Lecturer in Westminster University. As a lecturer, my major modules are Strategic Management (MBA) and Strategic Perspectives (3rd Year UG - year long). 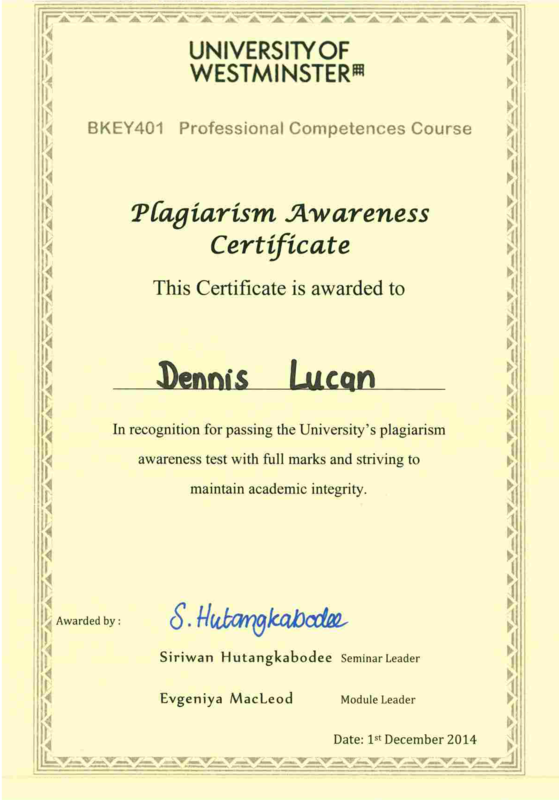 As a student Dennis has fully attended the Strategic Perspectives module. I know the candidate since September 2015. During this period I have an excellent impression of his academic skills. 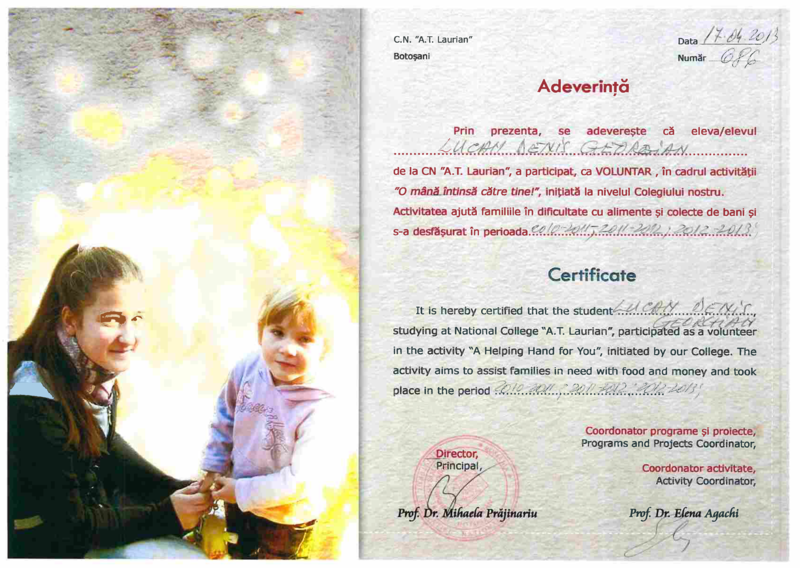 He has carried out every single of his academic obligation with great effectiveness. That means that the projects, assignments and solutions to ample case studies that he handed over to me, were characterized by a top level of performance. Additionally, his efficiency in written examination tests and presentations are correspondingly indicative for his high level of competence in written and oral communication skills. As far as his academic performance is concerned, I have not detected any drawbacks that hinder his efficiency. He is quite active and proactive. For example, he grasp every opportunity to participate in entrepreneurial and business simulation competition, always performing very well. I consider him a thoughtful and persistent student, a good example of a potential successful business man. Dennis is also a serial entrepreneur and an active business social citizen that makes him truly a star candidate for any future position. His greatest abilities are adaptation, ethos and hard work. He is also characterized by certain personality traits and exceptional abilities, which distinguish him from his fellow students in the department. One of the applicant's most basic advantages is surely his intellectual ability. Through direct conversations with the candidate, I came in touch with his pattern of thinking and his way of conception. He is quite hard working, mature, really committed to every academic obligation and able to meet his goals within the prescribed deadlines. He seems to perceive every difficulty as a creative challenge, from which he can absorb invaluable information and experience. Moreover, he displays a quite active and energetic participation in my course, which, in my opinion, supplied him with even more precious theoretical and practical knowledge, since he excelled in every assignment, case study and practical work. It is also important to mention, that, since most of the academic projects and assignments he was assigned to do, demanded team work, the applicant seems to be highly competent in setting and organising a group. That is one of his most profound features and what I feel will guide him to the top of his ambitions. 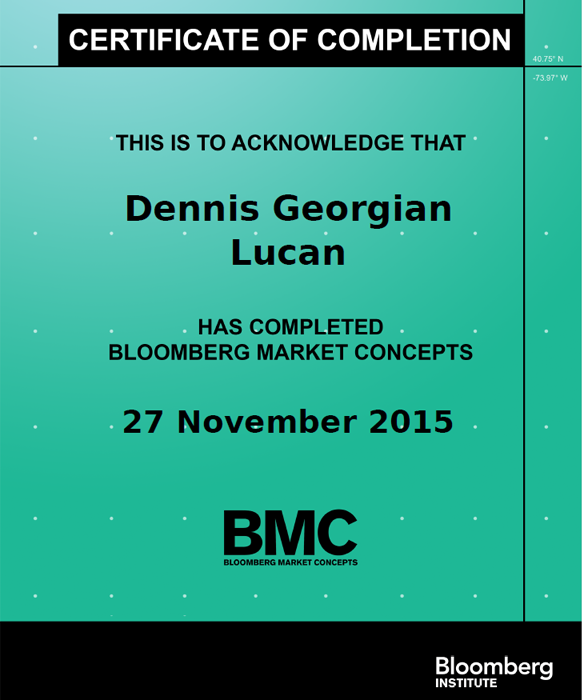 Consequently, I highly recommend Mr. Dennis G. Lucan. The particular candidate has a lot of potential and a challenging environment will certainly extend his capabilities to the maximum. Please feel free to contact me for any further information. Dennis is a charismatic, likeable and determined entrepreneur. He has always been so positive with my interactions and it was clear he wants to make things happen. A true role model for his generation and a bright future ahead! Dennis has attended several talks and workshops I have given and has always been one, if not the, most engaged participants. He brings a deep dedication to everything he is involved with so if you get the chance to work with him do so! I have been working with Dennis over the past 12-18 months part of BT Fleet's support for Sir Simon Milton Westminster UTC and have find Dennis a delight to work with. His communication is excellent and organisational skills are second to none. He is very organised and well planned. 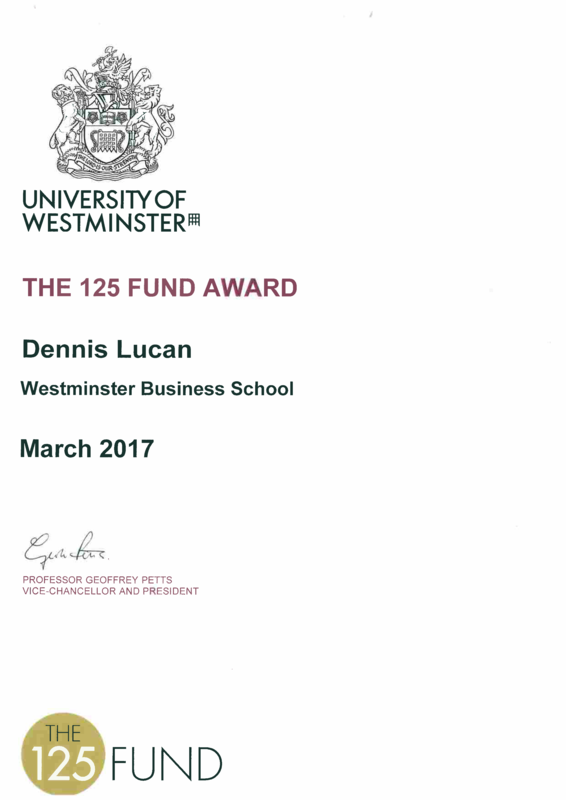 Dennis was one of the hardest working, most motivated students I have ever met at the University of Westminster. He gave 100% to everything he did, whether in business or supporting a good cause, and I wish him luck in all his future endeavours. I have known Dennis for the last 12 months as part of the team that has planned and implemented the opening of the Sir Simon Milton Westminster UTC. 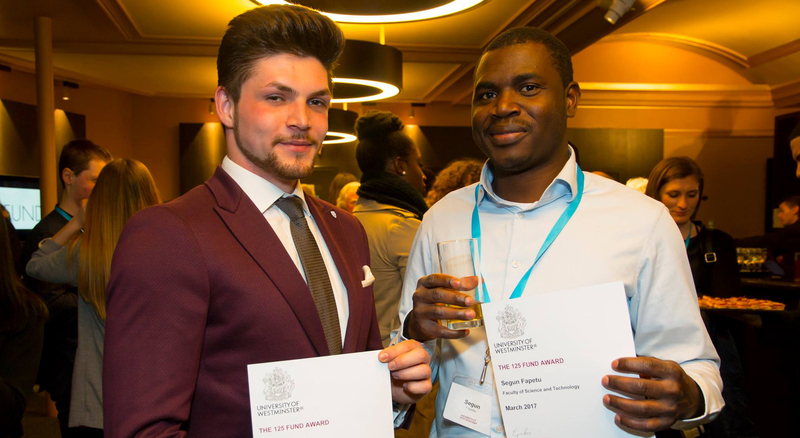 It has been a pleasure to work with an individual as enthusiastic, committed and proactive as Dennis, particularly given that his services were provided pro-bono to the project for a significant proportion of this time whilst he completed his studies in Business Management (Entrepreneurship) at the University of Westminster. Dennis's efforts have now secured him the well-deserved role of Marketing and Engagement Coordinator for the UTC, a vital role in securing the future pipeline of student applicants to the UTC. The criticality of this role is an indication of the trust and confidence that the management team has in Dennis to deliver results in whatever he takes on. His creativity, confidence to innovate, and persuasive good nature is a powerful combination which enables him to get things done and take people with him. I would recommend Dennis as a valuable member of any project team, particularly if your focus is on generating novel solutions with practical application. Dennis is an exceptional graduate. 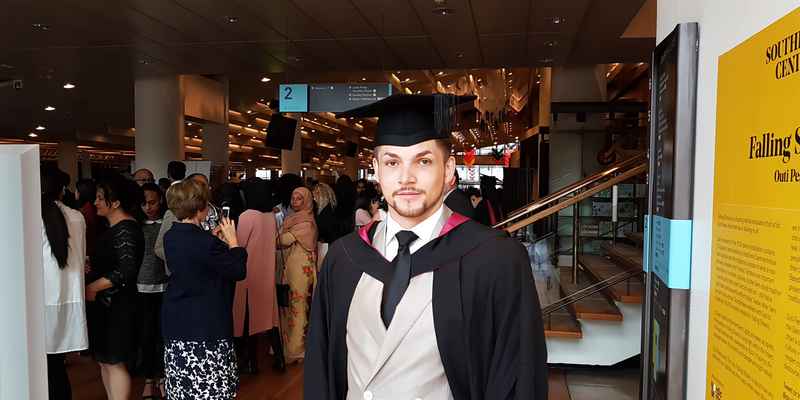 He managed to achieve a distinction in his business degree whilst undertaking many extra-curricular responsibilities in professional and voluntary roles. He possesses excellent time management skills, a work ethic beyond most of his peers and an incisive intellect. Dennis has not only learnt a lot from his degree and work experience to date. He has learnt to manage himself and others and demonstrate an entepreneurial and intrapreneurial mindset in start-ups and business development. Finally, Dennis is also a highly driven auto-didact who has taught himself advanced skills in graphic design & layout, digital & marketing communications, web analytics, Microsoft Office applications and customer relationship management strategy. 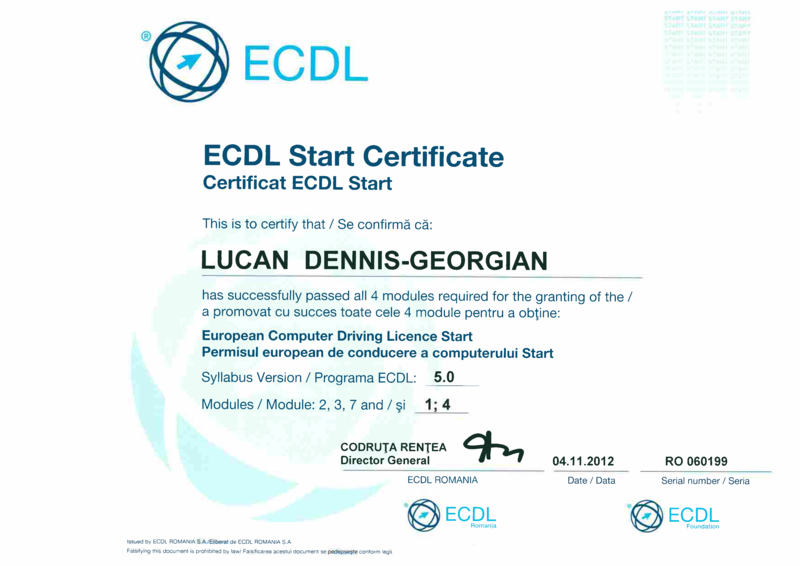 I would highly recommend anyone to let Dennis showcase his capabilities and comprehensive skill-set. They will not only achieve results working with him but also excellent value for money that many agencies and consultancies charge exorbitant fees for. As part of Alstom's support for the development of the SSM Westminster UTC - I have been working directly with Dennis on a number of activities and events over the last year or so. I have been very impressed with his organisational skills and ability to communicate with people at every level. Further to this I have seen Dennis go far above and beyond what would be considered his duties in relation to the UTC. Highly recommended! Dennis is a consummate professional in all aspects of his work. Over the last year I have collaborated closely with him on the launch of the Sir Simon Milton Westminster University Technical College - during this time he has proven himself to be creative, organised and thorough. I've worked with Dennis over the last year, due to his role for the Sir Simon Milton Westminster UTC. During that time he has shown a real desire to make a difference to an important project, which has no doubt taken up a significant amount of his time. He has always been a pleasure to work with and I have little doubt that he will go on to many further successes. Dennis was a finalist in the Mayor’s Entrepreneur in 2015 and then an intern in 2016. He is very passionate about entrepreneurship and is very good at inspiring other students. During his time as an intern Dennis was very hard working and demonstrated great organisational and communication skills which were key for the role. I have worked with Dennis for 12 months as his senior line manager for marketing and engagement at our brand new University Technical College (UTC). Dennis is an entirely committed, enthusiastic and driven employee, and he has played an instrumental role in setting up a brand new UTC. Dennis was able to work alongside the leadership team to ensure we reached the viability targets as stipulated by the Department for Education. Without hitting these recruitment targets, the UTC would have not opened. Dennis works alongside our first class alliance of employer partners to ensure effective engagement with the UTC. The partners have welcomed his innovative ideas and analytical abilities. He embraces entrepreneurship, and helps to inspire our students undertaking the Young Enterprise programme. Dennis has effectively used multimedia channels to target the market of parents and students. He has organised outstanding open events as well as leading on the management of our extensive external exhibitions, such as our stand the annual ‘Skills London’ event and the ‘National Careers Guidance show’. 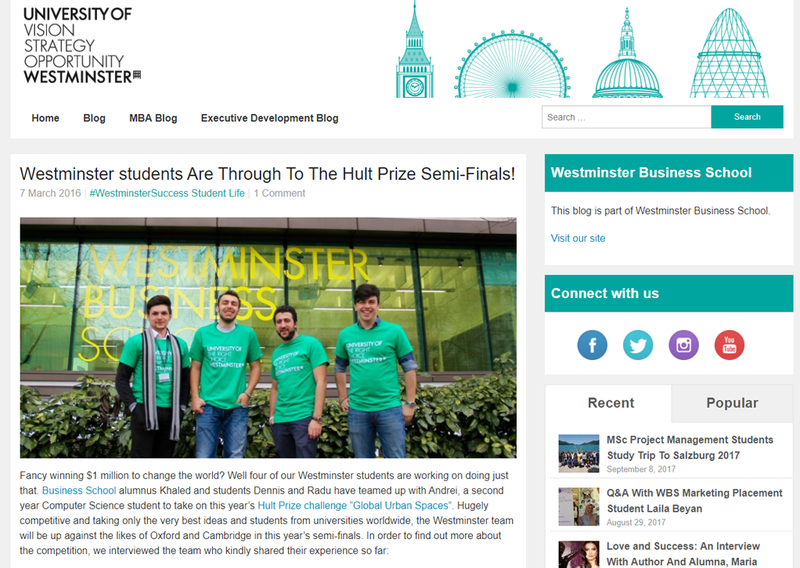 I had numerous amazing moments whilst studying Business Management (Entrepreneurship) at Westminster, from getting involved in projects I was passionate about, like The Great Start Project, to participating and going through the final stage in business competitions such as the IBM University Business Challenge, Hult Prize, Mayor's Entrepreneur competition and NACUE Big Business Ideas. What really made a difference was collaborating with students from other departments, like architecture, on personal and academic projects. On 14th November, the Sir Simon Milton Westminster UTC Young Enterprise team that I coach won £300 in seed investment from the University of Westminster. So proud to see my students work hard and succeed in making their business ideas real. Looking forward to working with them in the coming year. 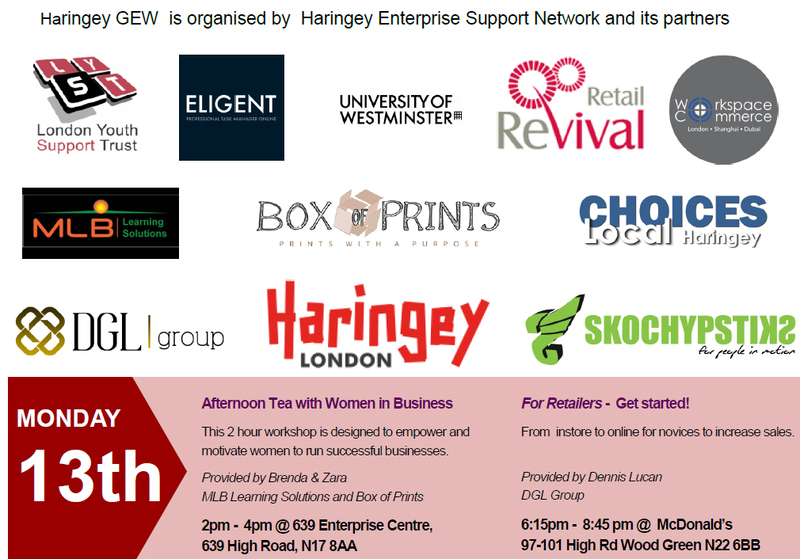 It was a pleasure to support the Haringey Council with a workshop for retailers, part of the Global Entrepreneursip Week. The Council aims to develop its local network of entrepreneurs through a series of training workshops, made to address common issues experienced in the entrepreneurial Journey. DGL Group was honoured to be included in the programme and meet the local entrepreneurs during an afternoon of brainstorming and problem solving in a local venue. Our partner, Slava Baranovskiy from Eligent, offered a training workshop as well on the topic of "How to build a tech start-up". Eligent management software is the tool we are using in running Mush+ and DGL Group. It is a clever task management and file storage tool that allows founders to distribute information with their team and keep on top of their daily activities. It has been a great pleasure for us to be featured as a successful user of their software. The final video will be released soon on their website here. After months of work, I am launching a personal website to better connect with people and offer a source of inspiration for the young generation. Everything is possible as long as you are passionate and motivated! I must specify that coding is not my first language and this is my first ever swing at HTML and CS5. Hope you enjoy it and come back for more. I am overwhelmed by the support received in the promotion campaign for Mush+ and would like to thank everyone! You are real stars and nothing would be possible without you. After working for one year as a Project Officer for Sir Simon Milton Westminster UTC, I decided to support the project further by concetrating my focus on the marketing, branding, student recruitment, communication and employer engagement of the UTC. The Sir Simon Milton Westminster UTC is an amazing initiative enabling students to gain valuable project and work experience by collaborating directly with top tier companies from the construction and trasport industry. We launched the first version of our website. Check us out here! We launched the promotional video for Mush+ and registered for the Varsity Pitch. At the Principal's invitation, I attended the 4th Meeting of the Construction Blockchain Consortium on the topic of "How disruptive technologies are transforming the built environment". A topic aligned with my interest in the use of IoT to improve the efficacy of organisations and industries. After being a speaker at the keynote seminar organised by the Higher Education Forum around the topic of "Developing student and graduate entrepreneurship - enterprise in the curriculum, targeted support and the growing role for social enterprise" and chaired by Lord Bilimoria, the University of Westminster received a transcript of the speech and a copy of the article I wrote for distribution. 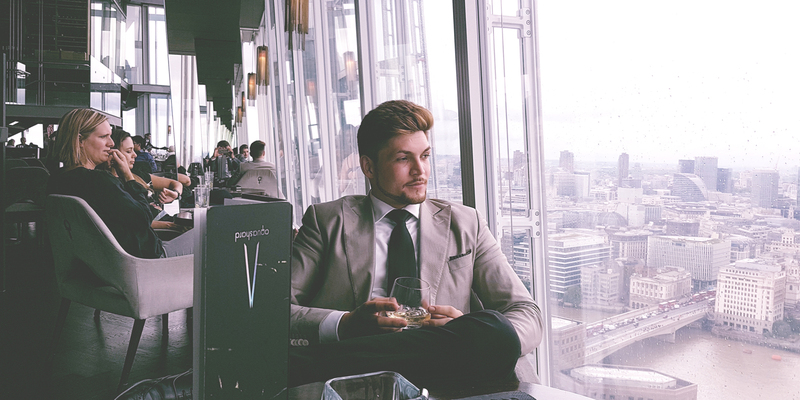 After spending three amazing year at the University of Westminster, I graduated with a First Class Honours Degree in Business Management (Entrepreneurship). Such an honour to be mentioned in the Dean's speech at the graduation ceremony. The DGL Group was created and behind the scenes work began to bring it to reality. Honoured to be invited as a speaker and join the panel discussion at a keynote seminar chaired by Lord Bilimoria and Baroness Howells of St Davids organised by the Westminster Higher Education Forum around the topic of entrepreneurship. Gave my input and recommendations about the support received by entrepreneurs during their studies and hope to inspire change and improvements across the Higher Education sector in Britain. Amazing talk organised by TEDx London around the topic of Confidence. Many thanks to the City Hall and Citi Group for the opportunity. Proud to announce that Mush+ reached second place in the Big Business Ideas competition organised by NACUE at Westminster Business School - University of Westminster and secured another round of seed funding. An impressive prototype came into existance ready for the Westminster Big Business ideas Competition. Really love the way this prototype developed over the past week. Can you believe those are growing out of coffee waste? As part of the entrepreneurship course, we organised a Pop Up Festival in the Marylebone campus. Mush+ was present at the festival with a stand showcasing the version 2.0 of Mush+ and selling the first ever kits to the public. Margaret Mountford, the former judge of the Apprentice was the Guest of Honour for the festival and a real pleasure to share ideas with. Team MG28: From left to right, Felix O. Buluku, Helsio Perestrelo, Jonathan D. Moore, Dennis G. Lucan and Radu Andrei	 Such an amazing time spent with close friends at the IBM University Business Challenge. 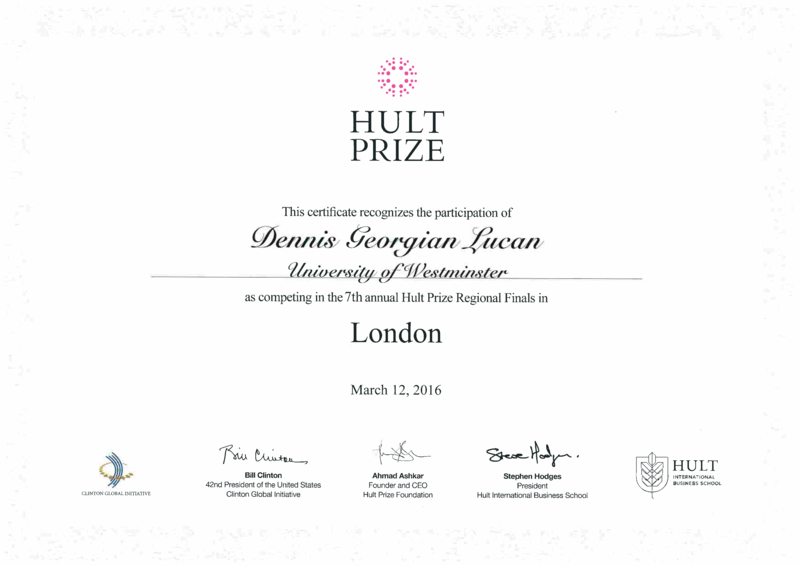 We finished the competition in top 3 in London out of hundreds of teams and tens of Universities in Britain. 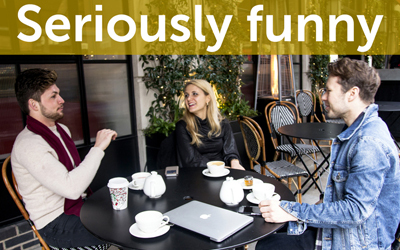 Brilliant opportunity to network and meet like-minded students and entrepreneurs over a weekend of networking. Had a great time to catch up with David Trayford, the owner of WOW Media. 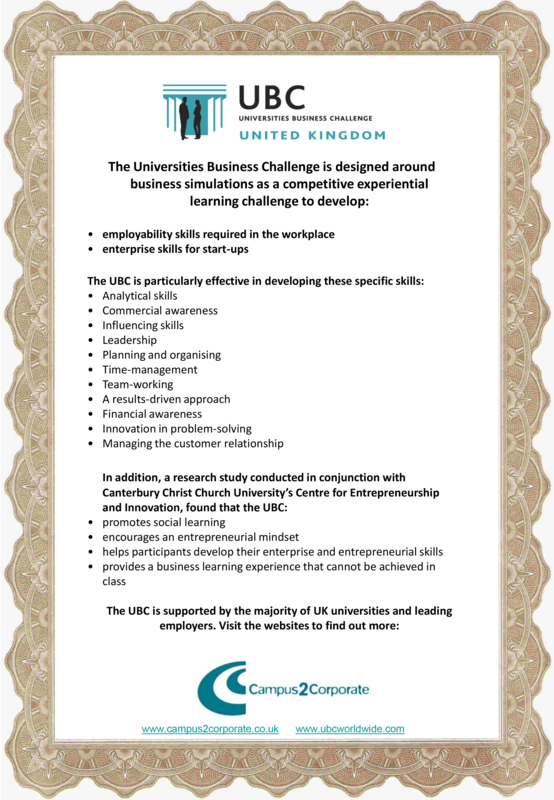 The University Business Challenge is a business simulated competition focused on developing employability and enterprise skills. 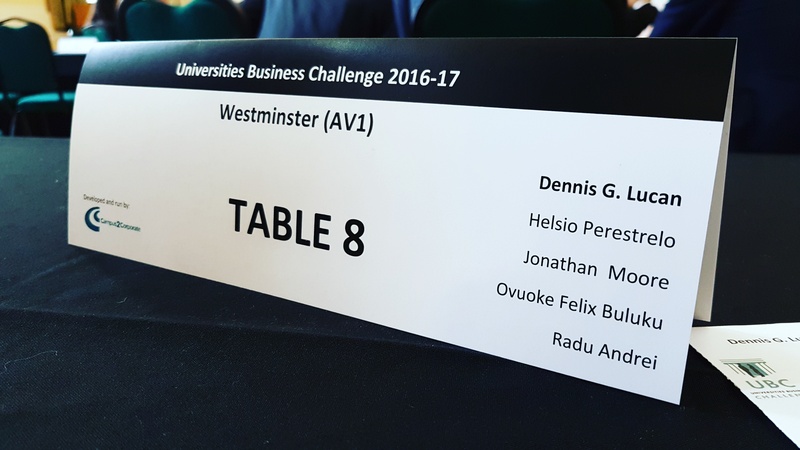 Two teams from Westminster Business School have successfully made it to the semi-finals of the University Business Challenge. We wanted to get to know more about one of the semi-finalists “MG28”. A big congratulations to the University of Westminster Alumni Association for an outstanding event and a massive thank you to all the people that contributed to this amazing initiative, allowing students to bring their projects into reality. Gave my opinion on Theresa May's speech about the Brexit strategy in a BBC interview for their Snapchat story. "Dennis G. Lucan, current Business Management, Entrepreneurship student won one of 15 places at City Hall as a Mayor’s Entrepreneur Intern. 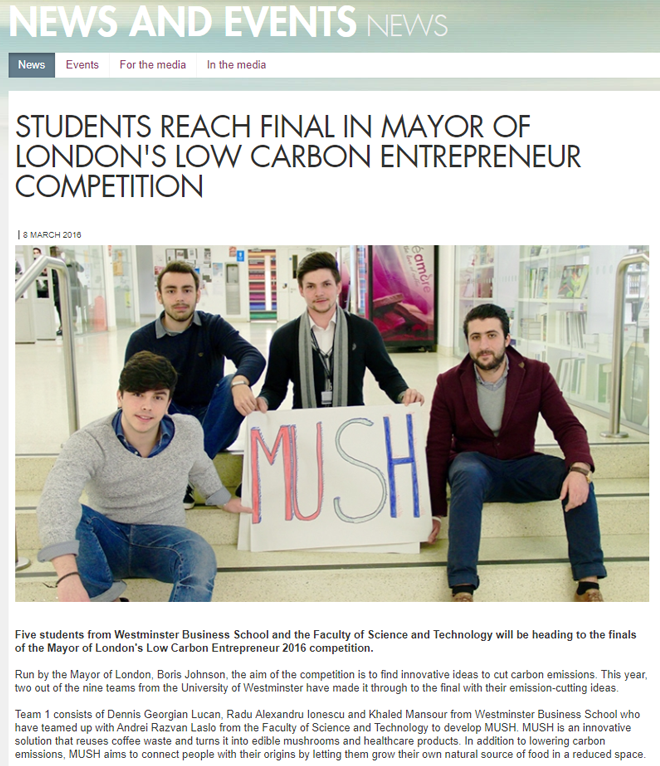 Earlier this year Dennis G. Lucan, along with a team of students from the Westminster Business School, entered The Mayor of London’s Low Carbon Entrepreneur competition with his business idea MUSH+ - a system to reuse coffee waste to create microenvironments to grow mushrooms. 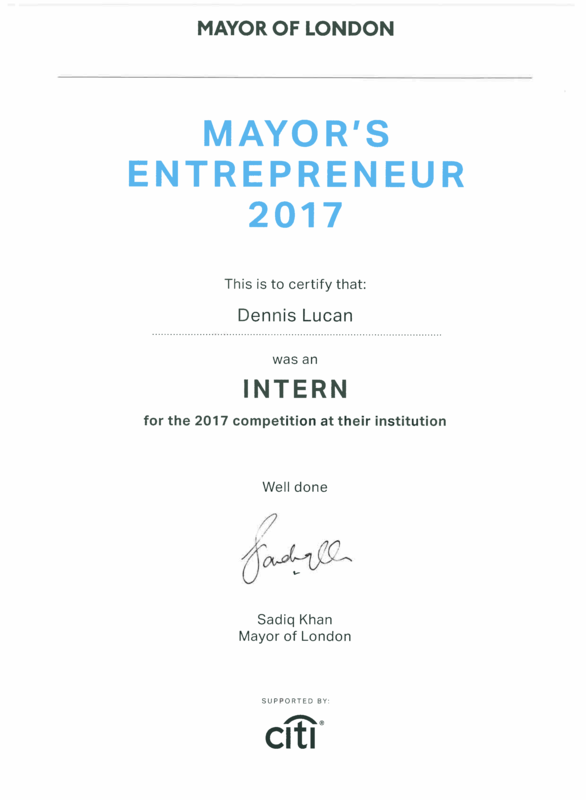 Dennis got to the final ten in the competition fending off 300 entrepreneurs and was invited to pitch his idea at City Hall." Sharing my journey and the steps I followed since moving to Britain in a radio interview for VIVA FM. You can listen to the hour long broadcast here. 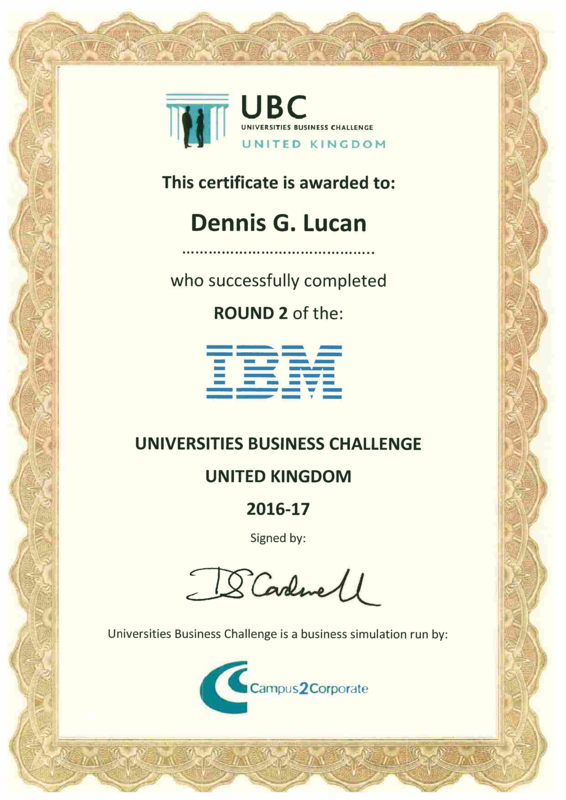 After taking over a tech company in the IBM University Business Challenge simulation for the past 6 weeks, I am proud to announce that our team reached the semi-final stage (Round 2 - March, 2017). A company that was having a profit of £600,000, loans of £12,000,000, shortage of cash and sold less than half of the previews lot, under our management reached a point when: The profit for the last trading period was £6,000,000+, total loan dropped to £2,000,000, the production capacity increased by 50% and the company is selling on average 85%+ of every lot. Proving once again that Westminster Business School means business. 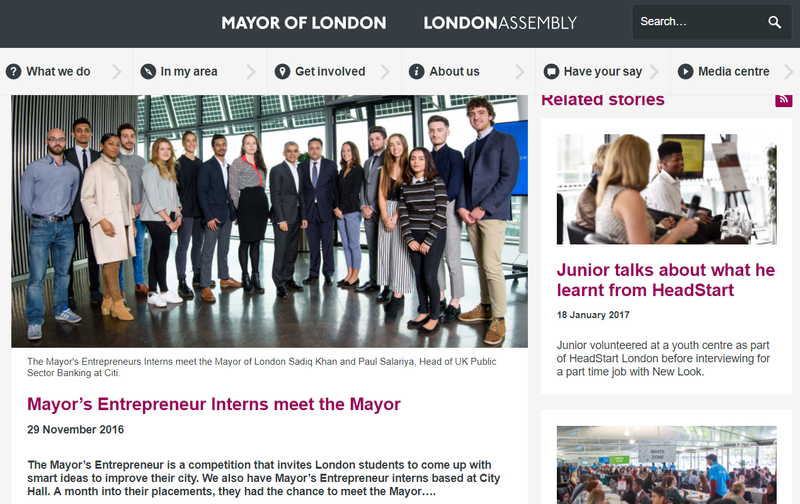 The interns’ role is to ensure students across London know about the competition. They also help shape the competition so that it continues to support students taking their first step towards becoming entrepreneurs. "We’ve been soaking up all things entrepreneurial here at the CDC this week as we celebrate the final day of Global Entrepreneur Week 2016. 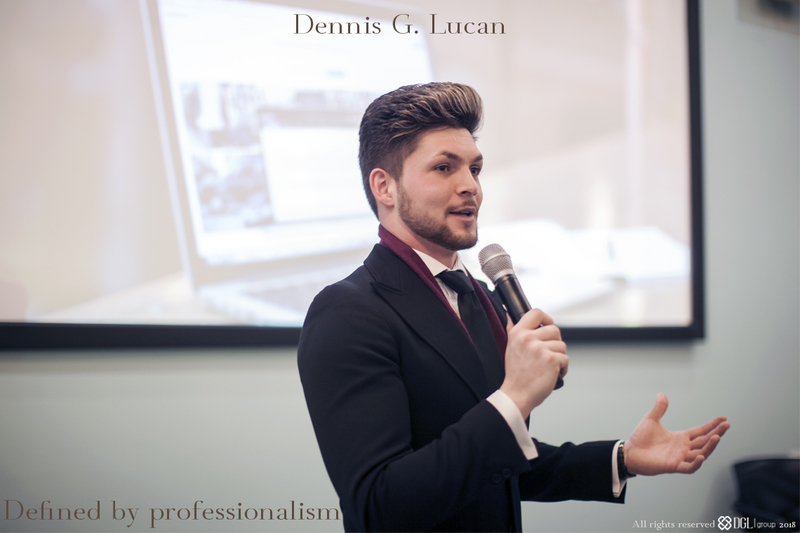 Today, wrapping up the thread of Westminster Entrepreneurs, we hear from one of last year’s finalists of the Mayor of London Entrepreneur competition and the Hult Prize – Dennis G. Lucan...."
It has been a pleasure to support the Alumni Department of University of Westminster in the creation of the "125 Fund" promotional video. Check out the video and find out what it is all about. I have been formally invited by LandSecurities at the Gala Dinner in aid of the Sir Simon Milton Foundation. I am one of the youngest attendees that this black tie event had. Had the pleasure to meet and share the table with Lady Sorrell, the Chancellor of the University of Westminster. She has such an outstanding personality, always willing to help people in need and she is one of the most successful businesswomen in Britain. 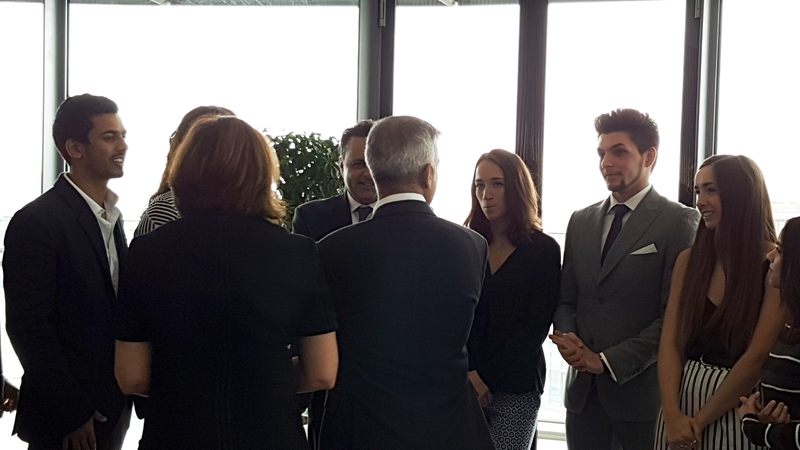 It was an honour to meet Mr Sadiq Khan, the mayor of London, and discuss about how we can make London better. Proud to be part of the team developing Mayor's Entrepreneur 2017 competition. Over the next 6 months I will be working in the Environment Unit, Development, Enterprise and Environment Directorate with the best from the Mayor's Office to improve the use and reuse of energy in London. Returning to the Great Start Project this year as a SuperFan, managing 50+ students over the induction week. 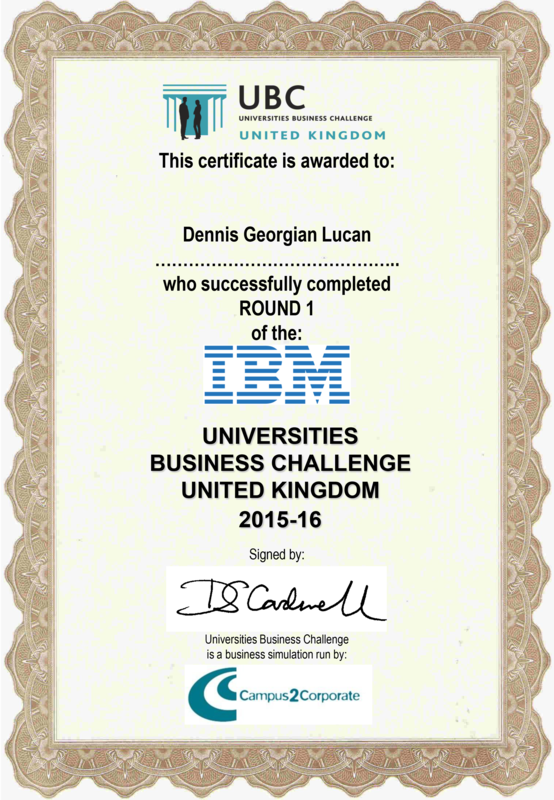 Leading a team of 4 in the University Business Challenge competition. I joined the major project of Sir Simon Milton Westminster University Technical College in an incipient phase, being directly involved in the early development of a large size organisation. As part of my role, I am liaising with 9 partners from the industry (Land Securities, Network Rail, Transport for London, Colas Rail, Sir Robert McAlpine, Alstom, Sir Simon Milton Foundation, Westminster City Council and University of Westminster) and successfully managed their interactive open evening events (10+). Given my opinion on Brexit and its impact on EU students in an interview for the BBC that aired on 19th June as part of the BBC World Service Newsday programme. Students and alumni were invited to attend the event to network and see the most creative and innovative business concepts of their friends and peers. Attendees also had the opportunity to judge the contestants’ ideas and vote to help the organisers decide who should win up to £2,000 for their startup. Competition was fierce as the business concept with most votes was fast-tracked to the NACUE Varsity Pitch Competition 2016 semi-final, with an opportunity to pitch for £10,000. 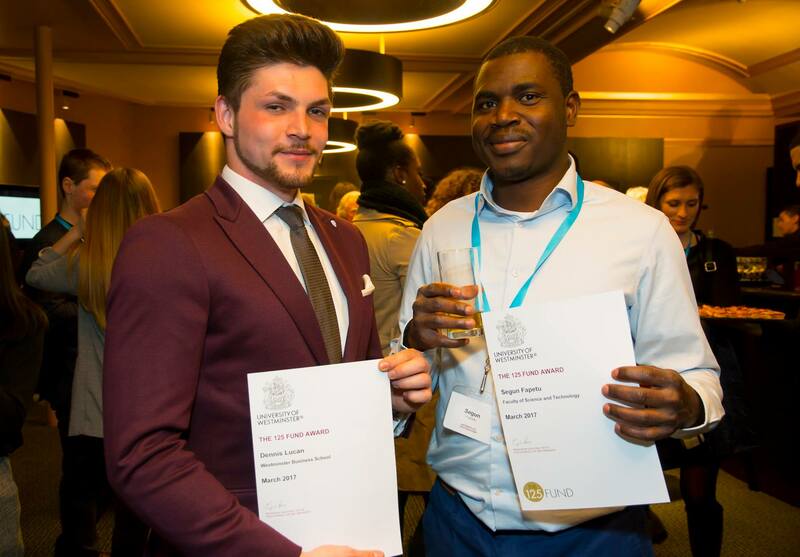 Business Management - Entrepreneurship BA Honours student Dennis G. Lucan was runner up with Mush+. 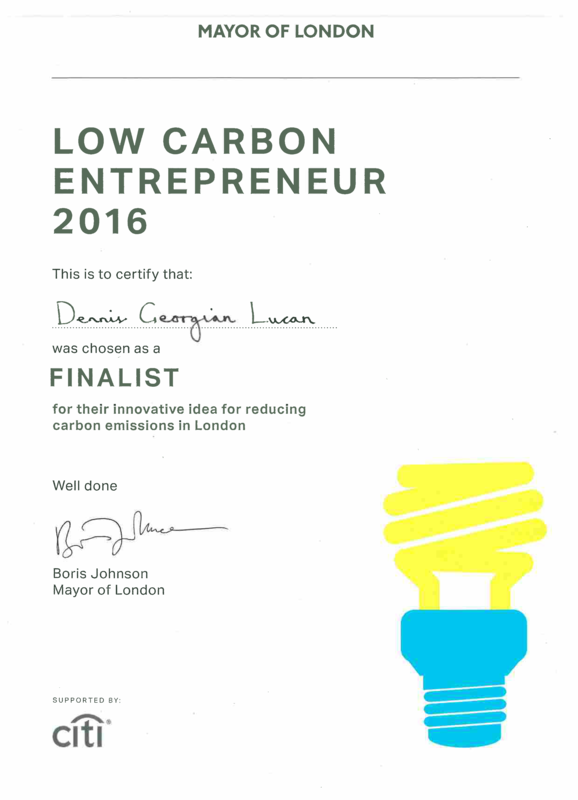 The business was also a finalist in the Mayor of London's Low Carbon Entrepreneur competition and of the Hult Prize International. "Mush+ formed by Dennis G. Lucan, Radu Alexandru Ionescu and Khaled Mansour from Westminster Business School teamed up with Andrei Razvan Laslo from the Faculty of Science and Technology to bring a an innovative solution to reuse coffee waste and turn it into bio products like edible and medicinal mushrooms and healthcare products. Even if we did not win today, we are definitely winners just through the fact that we managed to get into 2 finals at the same time (Hult Prize and Low Carbon Entrepreneur). Taking into account the interest that our company generated and the whole "army" of people that are willing to help (Citi Group, NACUE, Bio-Bean, University of Westminster and Coffee companies), Mush+ is going forward. We hope to make it real in the close future! Many thanks to everyone that supported us so far and stay tuned for more updates as we push this project forward. One of the best experiences I have had so far. Had the chance to meet a considerable number of inspiring people and to get great feedback for Mush+. 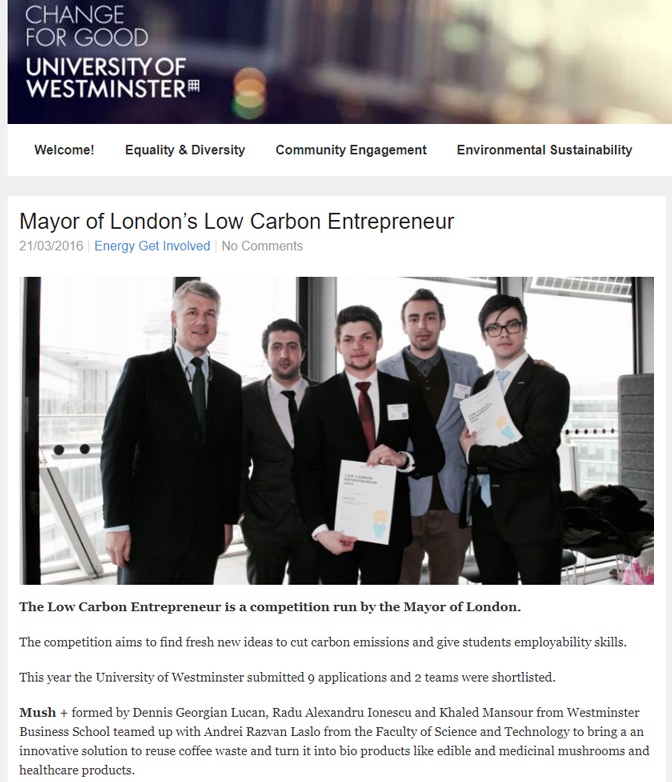 "Five students in team Mush+ from Westminster Business School and the Faculty of Science and Technology will be heading to the finals of the Mayor of London's Low Carbon Entrepreneur 2016 competition. Run by the Mayor of London, Boris Johnson, the aim of the competition is to find innovative ideas to cut carbon emissions. This year, two out of the nine teams from the University of Westminster have made it through to the final with their emission-cutting ideas." "Fancy winning $1 million to change the world? Well four of our Westminster students are working on doing just that. 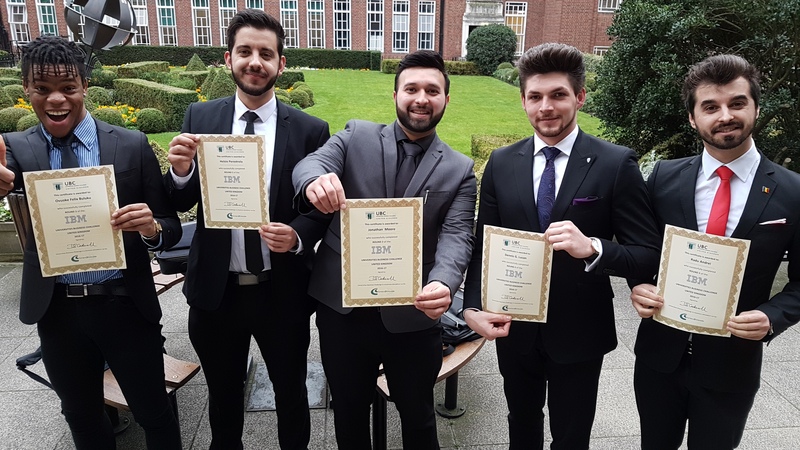 Business School alumnus Khaled and students Dennis and Radu have teamed up with Andrei, a second year Computer Science student to take on this year’s Hult Prize challenge “Global Urban Spaces”. 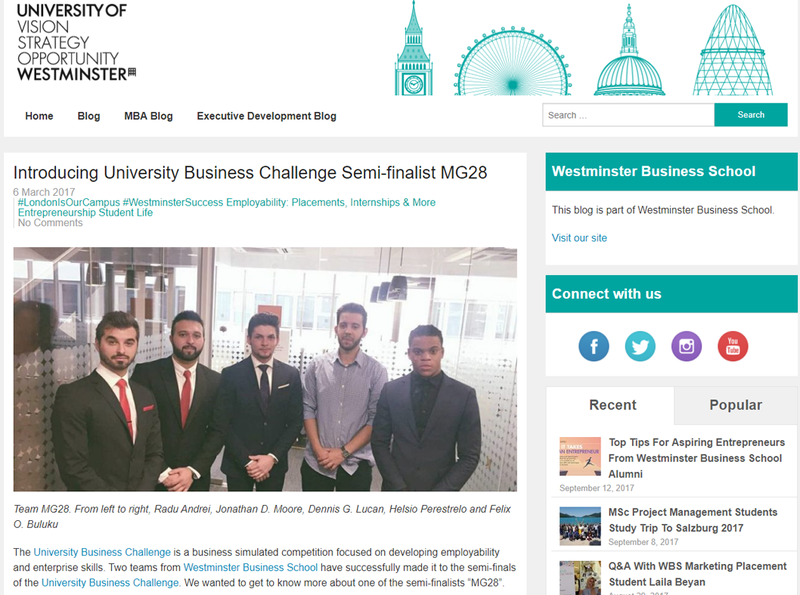 Hugely competitive and taking only the very best ideas and students from universities worldwide, the Westminster team will be up against the likes of Oxford and Cambridge in this year’s semi-finals." "You can tell that you are in the right place when you find yourself surrounded by passionate people sharing the same views as you. 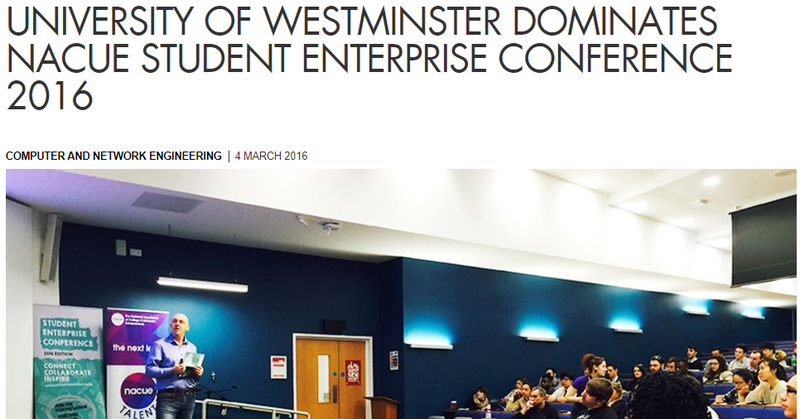 For me, the NACUE Student Enterprise Conference represented a vibrant experience from which I had so much to learn. 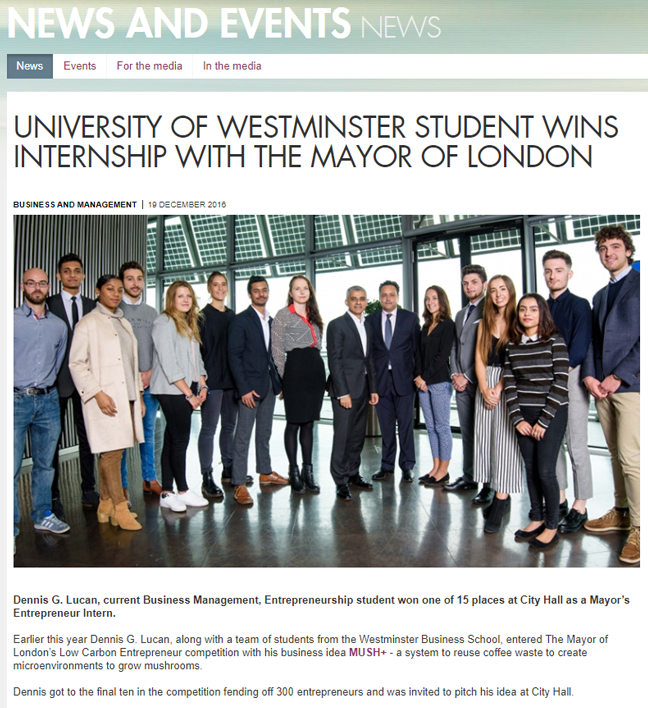 I had the pleasure to meet a considerable number of Westminster students there and also worked with new people and created the base for possible future partnerships." Amazing experience to build up long lasting networks. Today (23rd September 2017) I am working closely with Ionut Grigorescu and we have met on this exact day. Words cannot describe how great the Great Start Project is for new students joining the University of Westminster. 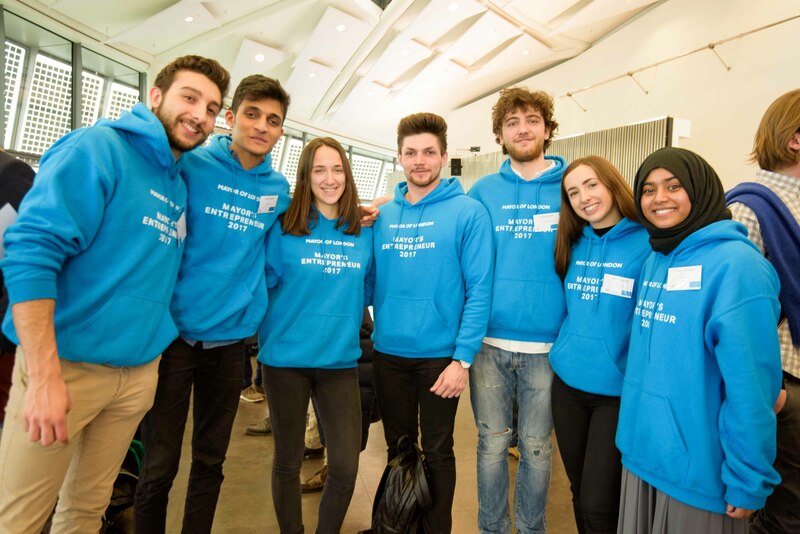 "The six Student Engagement Leads (SELs) work as a team to tell fellow students about the work that Learning Futures is doing to improve their experience at Westminster. They consult with and encourage other students to share their views and ideas, and act as a key point of contact about Learning Futures for students. They facilitate an effective two-way communication process between the Learning Futures programme, faculties, Students' Union and students. They also contribute to the development of a learning environment where students and staff work collaboratively to enhance the learning experience at Westminster." I was selected to be a FAN for new students representing Business Management within the framework of the "Great Start Project" developed by University of Westminster. During this time, I met my current business partner, Sash Onufriev. Fueled by passion, driven by action. With expertise in growth and innovation, we help businesses thrive and differentiate on the market. Combining the experience of our advisors, we support your business in decision-making and strategy. We provide cutting edge branding for UTCs, Universities and Colleges, enhancing differentiation in the education sector. Meet our consultants at one of our workshops and get insights in how to effectively run and expand your business. Creating sustainable mushroom growing kits from coffee waste. Our aim is to be the leading provider of unique mushroom growing kits in the United Kingdom, enhancing quality through upcycling. We provide customers with a unique gift idea, exploiting the unused potential of coffee waste. 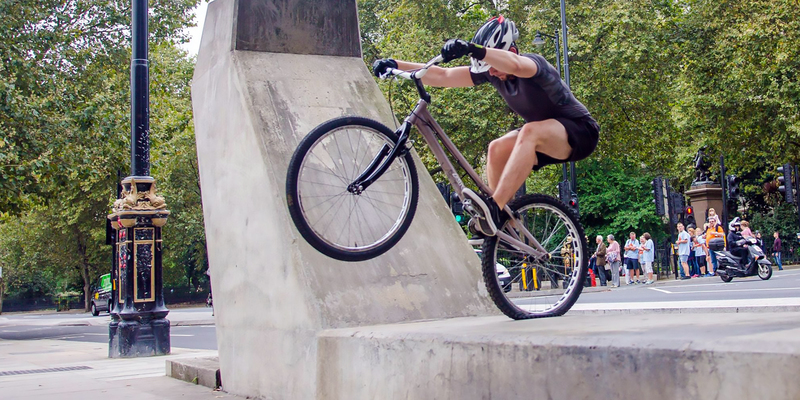 The reason I love trial biking is because the sport is a combination of balance, power, grace and strategy, spiced up with risks. Anything could go wrong at any moment but, when it does not, the result is astonishing. I started pacticing in 2010 as a hobby and gradually progressed until I became an athlete of the sport, participating in national competitions. 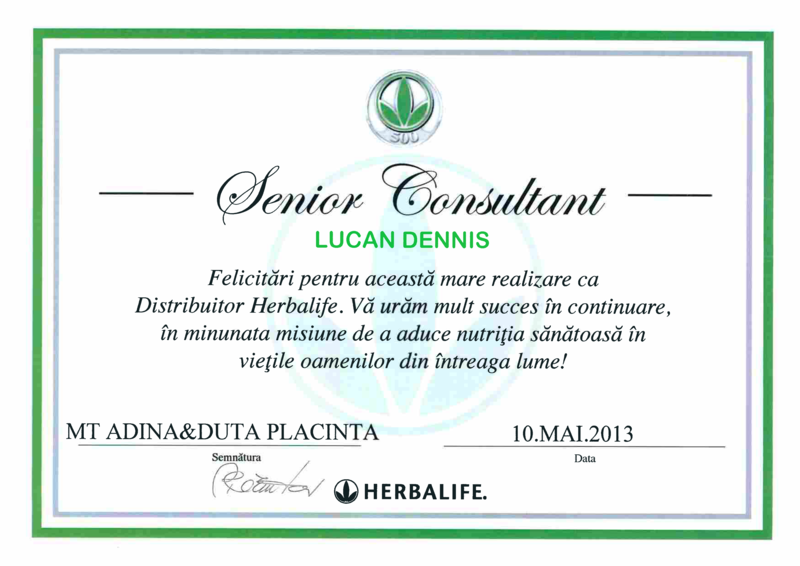 My work as a Senior Nutritional Conultant developed my understanding of human nutrition and wellness. I started practicing fitness around five years ago and realised how important keeping fit is for my mind and confidence. The key aspects of finess is perseverance, discipline and dedication fueled by self-motivation. For any enquiries, partnerships and suggestions, please use the contact details below.